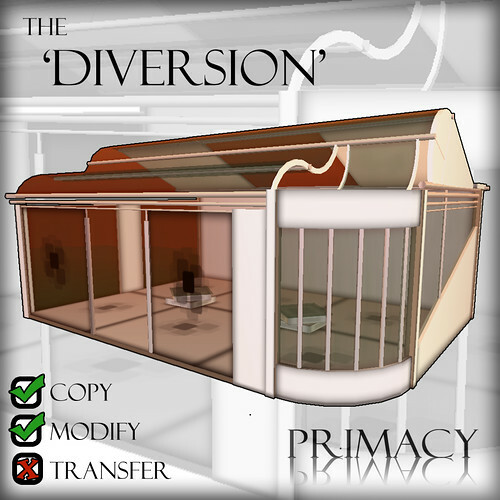 First up we have The Diversion, ideal for a shop or office this build is light, elegant and airy. With it’s eyecatching roof design this juxtaposition of swooping curves and jutting angles will ensure your property grabs all the attention. Next up is The Premise. The understated facade of this build screams sophistcation. Whether you choose to use it for commercial reasons, or perhaps as a gallery. This modern build will put your product into the best relief whilst not overpowering. Rezzed demonstations of both these buildings are available along with other Primacy products at the in-world store location. A relic from the days of Eloquent Creations this beautiful church has been given a new lease of life. 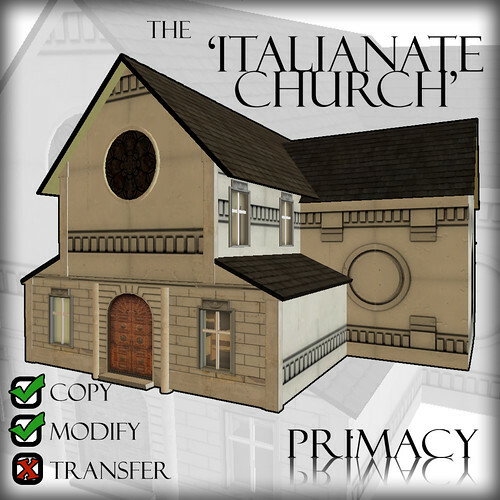 Reworked to a higher standard and with updated textures this is now a flawless piece of architectural work. 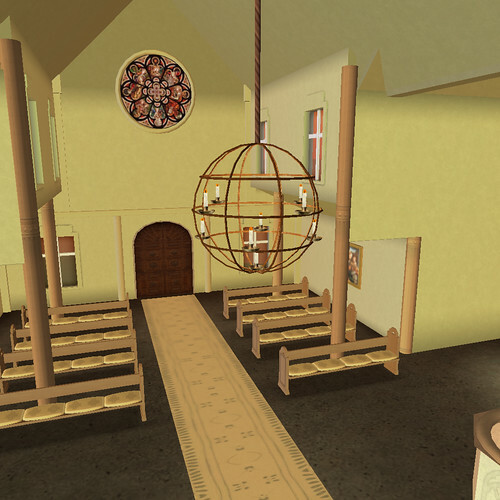 Complete with all the furnishings such as chandelier and pews with sitting poses. This is the ideal venue for weddings as well as an outstanding decorative piece to add to the look and ambience of a sim, be it for roleplay or retail. 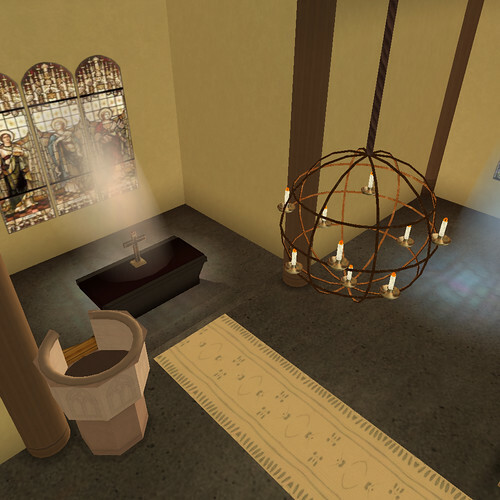 The furnished version is 377 prims and unfurnished 167. It has a footprint of 27 x 30. 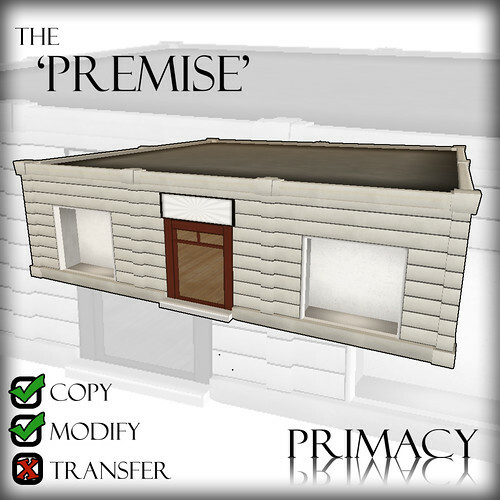 As with all Primacy builds a full scale rezzed demo is available to view at the in world store.